Our furry little friends are an extension of our families and we often need to find outlets for their never ending energy. 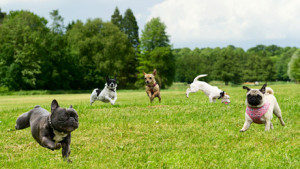 A great way to get them exercise and socialization is to take them to an off-leash dog park. 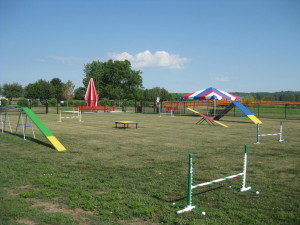 Here in Fairfax County, there are several public dog park that anyone can use. Find one near you. 1) All dogs must be legally licensed and vaccinated, and shall wear a visible dog license. 2) Dogs under 4 months of age and female dogs in heat are prohibited. 3) Dogs must be under the control of their handler and in view of their handler at all times. 4) Handlers must “scoop the poop” and fill any holes dug by dogs under their control. 5) Dogs must be removed from the off-leash dog area at the first sign of aggression. 6) No animals other than dogs shall be permitted in the area. 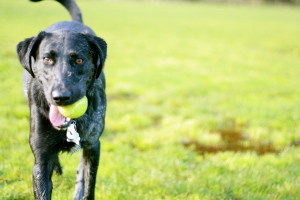 Dog parks are a wonderful place to take our four legged friends. As long as you keep safety in mind you and your dog will have a wonderful doggy filled adventure and make many doggy friends.